This summer, I had the chance to visit my cousin in Germany for a week. She's a maker, a creative, and also an entrepreneur. Ruth had this amazing idea to create a rustic, natural, and locally sourced yarn. In collaboration with a friend, that idea has grown into the business that is now Raincloud & Sage Yarn. I'll steal some words from their website, since they do a much better job explaining it than I could. "We want to create yarn with a story- from sourcing, to spinning & processing, to dyeing with plants, right into the hands of knitters everywhere. 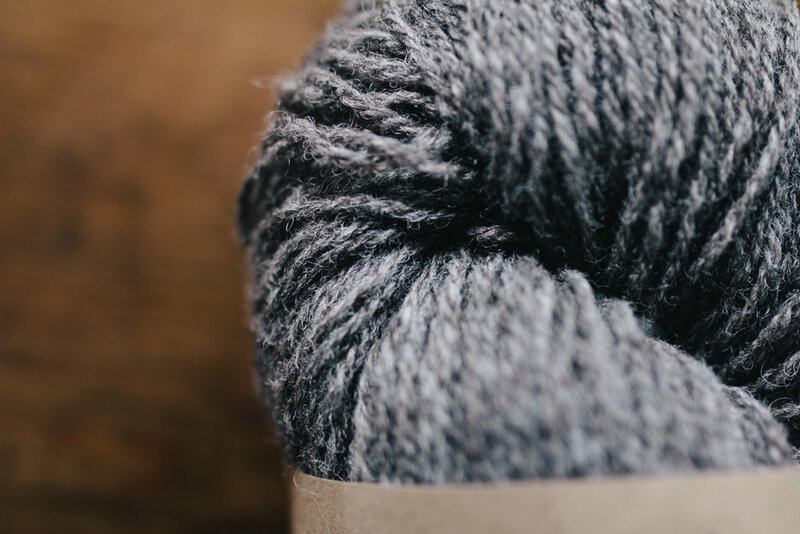 Our yarn is rustic- woolly, sheepy farm yarn that would be perfect for sweaters, hats or mittens. We're involved in every step of the process- from sourcing and purchasing from shepherds, to delivering our wool to the small family run woolen spun mill we work with, to creating botanical dyes from plants and natural extracts. We want our yarn to end up in the hands of knitters who love good wool and making warm items with their own two hands. We just could not think of a better ending to the process our yarn goes through!"